Apple has released the latest version of its mobile operating system titled ‘iOS 10’ for its iPad and iPhone devices just a few months ago. iOS 10 brought a wide number of changes and tweaks to Apple’s apps along with the overall feel and look of the OS as a whole. Some of the major changes were brought to the Music app and as well contextual predictions related to the auto correct features. 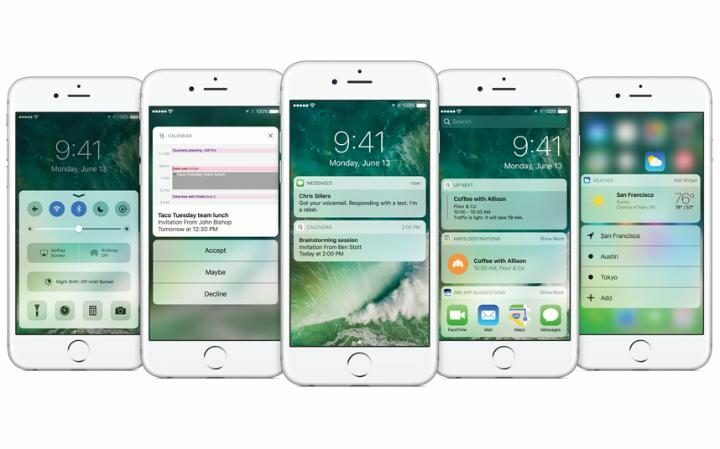 Here are top 10 best-hidden features in iOS 10. Delete the Default apps- Apple has finally brought the feature to delete the cumbersome default apps on the iOS devices. Users are simply required to go to the Remove Stocks option and it will help in remove the default apps, which are not of much use to you. This will not just delete the default apps but it will also help in saving freeing up the internal space for other usage. Third party apps through voice recognition- Now you can enjoy third-party apps with voice recognition support from Siri on the iOS platform. This will allow you to book an Uber, transfer money through apps like Square Cash and send message on WhatsApp. Smart Maps- Apple Maps has gone through a redesign and come with new advanced capabilities. Now users will be able to look up location even from other apps. Apple News- Apple New now features top stories picked up by human editors. It will also display the ending articles and users will be able to set news alerts from any number of publications of their choice. Smart Photos app- iOS 10 brings an intelligent Photos app. Now users will get a dedicated Places album, which can be viewed, like a library in a map grid style. Users will get much freedom in organizing the photos on their phone with latest update to the Photos app. Advanced facial recognition software- Apple has brought in advanced facial recognition software in iOS 10, which has the capability to scan the photos and create profile. Profile creation is based upon the people present in the user’s camera roll. At this moment this feature is not fine-tuned but with further updates users will get to see a much better system in place. View widgets in style- From now on simply swiping to the left of the home screen will allow users to view their widgets. Users can even set this feature to appear right on their lock screen. Apple has even made some of the widgets interactive in order to offer better user experience, which includes apps such as weather, headlines and battery status. Twice the fun- Now users can use both iMessage and WhatsApp on their device. More to choose from- Apple brings one of the widest range of emojis to use in the messages from the Apple devices. Send texts with ease- iMessage bring a wide range of options to send texts from this platform.